They say that writers write. It stands to reason that game designers design games. I haven't been doing a lot of that lately, so I've decided to hop aboard the One Game a Month train for 2013 as a way to kick myself in the pants and get projects off my to do list and onto the done list. It's pretty amazing how such a simple mental trick can pay off. Oddly, rather than developing any of the concepts that have been kicking around my back burner, I've started working on a new concept that may wind up cannibalizing one from the to do list. It's a dungeon-crawler that takes inspiration from a genre of game I've enjoyed on the iPad. I sketched out an outline last night, and I've got multiple mechanics that I haven't seen before in other games, which is always exciting, because I'm not sure if they'll work! Trying to figure out how to playtest as quickly as possible, given that games of this type require lots of cards with stats and special effects. Getting to something reasonable in a month will be a challenge, but it feels great to start making stuff again. If you're lucky, you get to work on something great. If you're very lucky, you get to work on something that makes a difference. For the past few months I've had the profound privilege to work with NASA on a project called Mars Rover Landing, which went live last week. 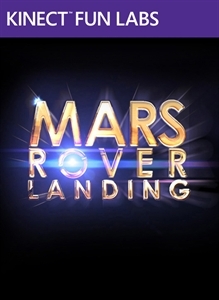 MRL is a Kinect experience you can download for free on your Xbox 360 that enables you to use your body to navigate the Mars Lander safely through three stages of the landing process. On August 5, a little over a week from now, the Mars Science Laboratory (more familiarly known as Curiosity) will end its 8 1/2 month journey and set down on Mars. If everything goes well. NASA's history is peppered with high-profile failures. But despite Apollo 1, despite Challenger, despite Columbia, when I think of NASA I think of its many triumphs. I think of humankind setting foot on the moon. I think of multiple nations working together to assemble and staff an orbital space station. I think of the relentless quest for exploration and scientific discovery. And so I think that on August 5, Curiosity will land safely on Mars. But at NASA, they think of the roughly one gazillion things that can go wrong. Folks at NASA call the rover's landing sequence seven minutes of terror, because the engineers at Mission Control can't do anything but watch. As the telemetry from the rover comes in, the game's already over. The time delay between Mars and Earth means we're getting old news. Any number of things could have gone wrong. A charge misfiring. A release mechanism failing. An approach angle misaligned. The slightest error could cause the spacecraft to skip off the atmosphere, or miss its landing target, or impact at critical velocity. And there's nothing NASA can do about it. I designed the Mars Rover Landing gadget to try to reflect some of that urgency while giving the player a level of direct control that NASA can only wish for. It's a modern update of the classic Lunar Lander arcade game. Take a look at this video, which inspired our three stages of gameplay, to get a sense of how crazy this landing really is (and yes, Curiosity has a frickin' laser beam it will use to vaporize Martian rock samples for analysis!). NASA recognized that to achieve its outreach mission of inspiring young people to pursue STEM (science, technology, engineering, and math) careers, it had to bring the mountain to Mohammed. And Mohammed-- along with the rest of his teenage friends-- plays Xbox. There are hundreds of horror stories about working with IP holders, who can be notoriously protective and controlling of their franchise, or working with the government and its bureaucratic red tape. This isn't one of them. There were a few obvious constraints-- no aliens or graphic explosions, for instance-- as well as some less obvious ones (NASA is extremely protective about how and where its logo gets used). The team at NASA, headed up by Jeff Norris at NASA's Jet Propulsion Laboratory and Sharon Goza at the Johnson Space Center, were a delight to work with. Right from the outset, they acknowledged that their expertise is in space flight, not video games. They were always eager to offer feedback and suggestions, but left the decisions about gameplay to us. We, in turn, strove to incorporate as much realism and accuracy as possible, right down to using the real mission director as our voice talent. If you play the gadget and then watch NASA's feed of the landing, the voice narrating the event will be the same. NASA's team provided us with all the 3D spacecraft models, rover photographs, and Mars landscapes we asked for, then threw in a host of supplementary materials in case they proved helpful. Their level of knowledge about space flight and passion for their work were inspiring. Everyone involved with the project on the Microsoft side got a gleam in their eye at the chance to work with NASA. I'm sure many of us wanted to be astronauts when we were younger, and this project allowed us to reach back in time and touch that dream. I think we also felt that NASA's work is important in ways that videogames generally aren't, and working on this project gave us a sense of a higher purpose that fulfilled our souls. I think NASA is one of the last, greatest aspirational brands on the planet. Having the chance to work with them and, however tangentially, be a part of their mission is like catnip to a company full of tech geeks. The NASA folks, for their part, were equally geeked out over working with us. They're all gamers and Xbox fans, and they relished the chance to play in our sandbox. It was a great "Your're awesome!" "No, you're awesome!" relationship, and I'm grateful to Microsoft and NASA for creating this opportunity. The team at Hellbent did a great job proving out a lot of the mechanics, and the incredible folks at Smoking Gun really hit it out of the park with the final implementation and presentation. If this gadget makes even one child curious about the space program and sets them on a path to become the next generation of explorers, innovators, and discoverers, then mission accomplished.